All children dream of flying. 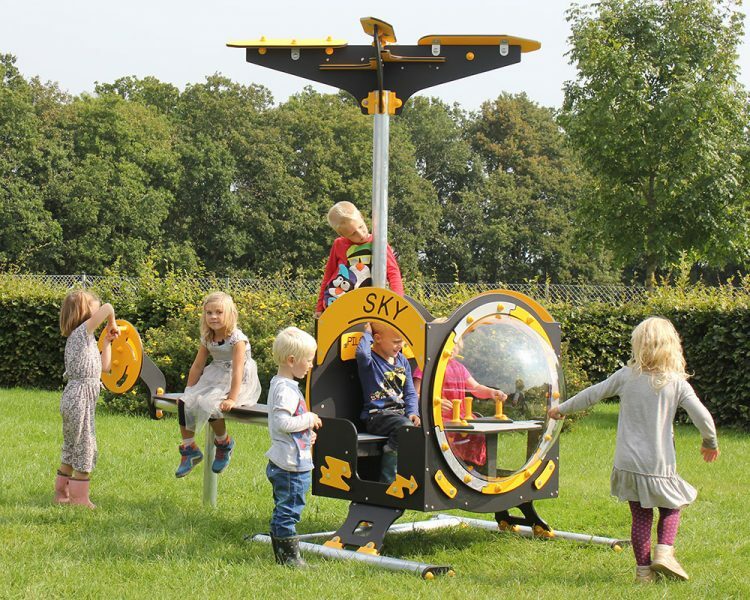 In this helicopter, they can be a pilot and fly to where their imagination takes them. Several movable parts, e. g. pilot sticks and tail rotor. A thrilling, unconventional “play house” which children will queue for.